The Chamber has YOU Scheduled as a Guest Speaker! Home | Events | The Chamber Has YOU Scheduled. . . The Chamber Has YOU Scheduled. . .
You are scheduled to present at a local Chamber of Commerce meeting next month. Don’t just “Show Up” when the event starts! There is much to be done before you begin your presentation. First, this event is Important. No one ever challenges that statement. Why would they? The opportunity to speak in front of members of a Chamber is huge. Most of these local groups consist of business owners, top level employees, and community leaders. “Decision Maker” is part of their job description. I’m making the assumption you offer a product or service they may need, or might refer others to get more information on. Good! You’ll be speaking with some prospects! These busy folks are investing time and money to attend the meeting. They’ve come to network and learn something from the guest speaker – You! Don’t disappoint them! When you are initially booked for the time and date, be certain you’ll be available with no foreseeable conflicts. Shame on you if you might have to cancel at the last minute. The odds you’ll have another opportunity to speak are slim. Because the directors of chambers know, and network with, each other, if you are a no-show at one, don’t bother trying for an opportunity at others. The Following Items are Not Suggestions. 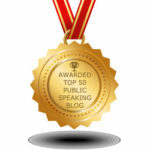 If you want Your Speaking Opportunity to be Successful, consider them RULES! Find out Whom your audience will be, and how many will be attending. All audiences are not the same. The director of the chamber or program chairperson who booked you will provide the demographics needed to tweak your presentation for their specific audience. There might be a roster available for who is attending. There will be individuals you’ll want to meet, and perhaps, tailor points of your presentation to include them, their business, or community. Check them out on LInkedIn and FaceBook. You may find people you know who know them, and can make that valuable introduction. Find out Where and When you’ll be speaking. All venues are not the same. All Chamber meetings are not luncheons, don’t start the same time, or follow the same format. 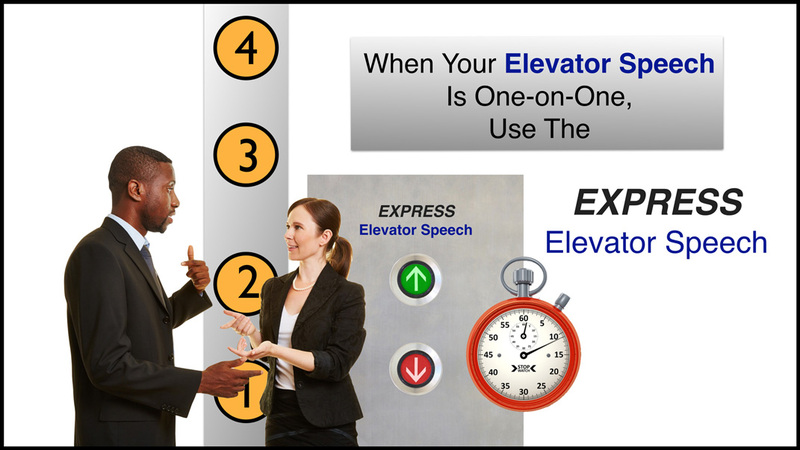 If possible, visit the location prior to your speaking opportunity. Seating, audio visual equipment, sound systems, lighting, and other location elements of a great presentation must be known. Sometimes adjustments are needed, and you want to know about them before you take the stage. Know What Equipment will be needed for your Presentation. Will you be using a Projector? If so, will it be provided? If it’s not furnished, and you’ll be showing slides in your presentation, you’ll need to make arrangements to have one. If one is in place, be sure you have all the necessary cables and adapters that might be necessary. Don’t count on them being provided. I’m a mac man and know I’ll need an adapter. I’ve also been a speaker where an HDMI cable was a better option than making a VGA connection. I had it! Because I scoped out the location a week prior, I also brought duct tape to keep the cable out of harm’s way. Bring your own Remote Control. You do want a remote. It is distracting to the audience to see a speaker moving back and forth to the computer to hit the ‘forward’ button. Having an ‘assistant’ do this can be worse! Don’t count on the venue having one. If a remote is provided, it is unlikely it will have the functionality I describe next. Advances and reverses the slide. The “B” Button in PowerPoint and Keynote have this functionality. Doing this takes the attention of the audience from the screen to you, the presenter, where it should be! This can be extremely helpful for focusing attention to a specific item on your slide. Has wireless RF technology that doesn’t require line of sight to work. This means you can walk anywhere in the room and truly engage your audience without breaking your flow. Be certain to have extra batteries. If your presentation slides have Audio Files, is there a speaker system you can plug into? Suggestion: Bring your own mini-speakers, connection cable, and a power strip. Don’t let a great presentation suffer because the only speakers you use are the tiny ones in your computer! If you’ll be using a Microphone, try to arrive early to test it. If hand held, try different distances from your mouth for the best amplification. If it’s a lavaliere mic, placement is also important, so experiment. Important: If you’re not presenting it should be turned OFF! You don’t want others to be broadcasting private conversations or listed as you take a restroom break! Have several Backup Plans if using a Slide Presentation! If using PowerPoint, bring a thumb drive with your presentation on it, even if using your own computer. Yours could crash at the last minute. Also, back the presentation up as PDFs. The “backup” computer you might be offered may have a different version of PowerPoint installed. I use a mac and apple’s Keynote Software for slide presentations and have a flash drive with the presentation in Keynote, PowerPoint, and PDFs. Additionally, have a Paper Backup if all electronics for the presentation fail. I use mainly images instead of bullet points and text in my slides. Printing many slides on one piece of paper in slide sorter (PowerPoint), or light table (Keynote), view gives me another backup plan. I can look at the image, and deliver my presentation. It is your responsibility to write your Introduction. 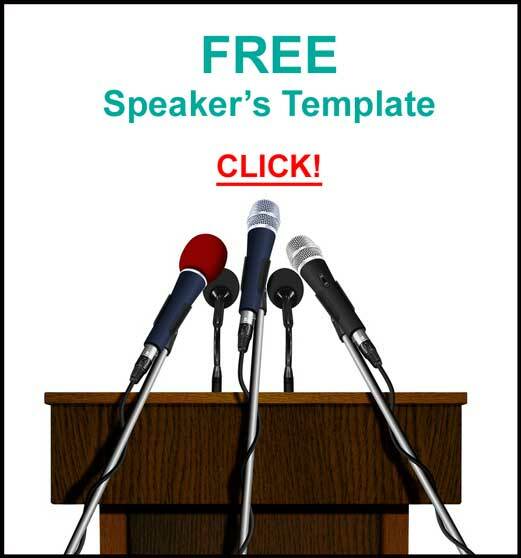 The Introduction of the speaker is an integral part of a presentation. It is not your bio. No one cares where you went to school, how many kids you have, and that you collect butterflies. It should be like the king’s trumpeters announcing his highness is on his way and build anticipation. It is not a place to be modest. Far better a third party, the master of ceremonies, says great things about you than for you to tell the audience your accomplishments and seem like a braggart. Be certain they have a copy well in advance of the event. It should indicate which words to emphasize and where to pause. Bring an extra copy with you to the event in case they forgot it or they’ve been replaced by someone else. 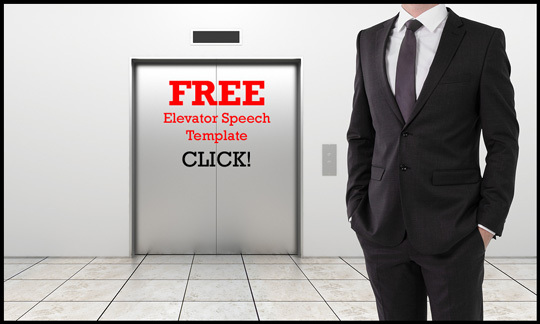 Since this is Your “Speaking Opportunity, “ Promote It! Great speakers are perceived as Experts. 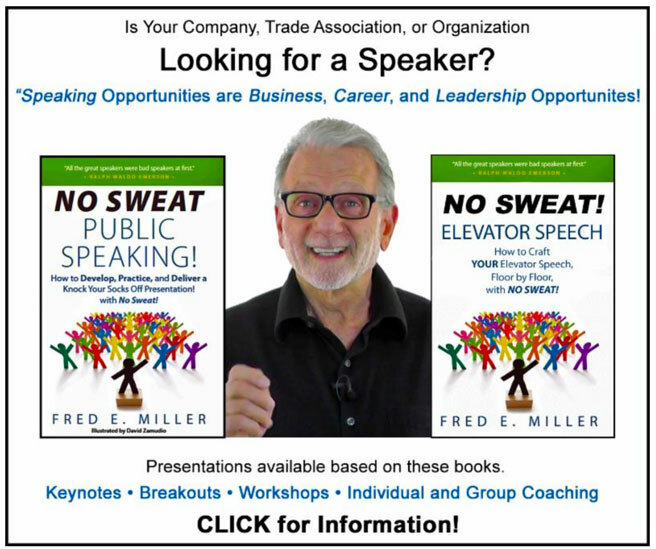 Let others know you are scheduled to present at a Chamber of Commerce. If you know chamber members or potential chamber members, personally invite them via email or a phone call. Promote the event, with you as the Guest Speaker, on social media: LinkedIn, FaceBook, Twitter, etc. Have it listed on the “Calendar” page of your website. If you have Product to Sell: Books, CDs, etc., ask for permission, from whoever has the authority, to see whether it is permissible. If allowed, you’ll probably want to request a table, and maybe a chair, for displaying your wares. 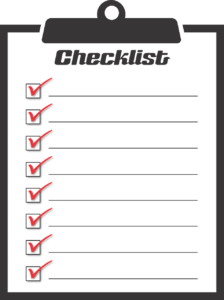 Double check you’ll be able to make change for purchases, have the ability to take credit cards, and can give cash purchasers a handwritten receipt. Write an After-Duction for the Master of Ceremonies. Review this with them before the event. Thanks you for your presentation. Says you’ll stick around for questions. You have product available for sale. You definitely want to stay hydrated. Your voice will sound better, and with water at your side, cotton mouth has a lesser chance of attacking! Having your own bottle of water, at room temperature, with a cap on it, vs. a glass that could spill, is just smart! For several reasons, Arrive at the event Early! Double check everything is in place for your presentation. Get the projector, microphone, speakers, and other equipment set up and be certain it is working as you need it to preform. Sometime seating and tables need to be rearranged. Check for “line of sight” for the audience. Meet & Greet Guests as they arrive! Two important reasons to do this. Shake their hand, look them in the eye, and thank them for attending. It is amazing how much easier it is to speak with an audience whom you’ve met and introduced yourself to. It’s great for the audience. By introducing yourself and thanking them for coming to the event, you just demonstrated you care about them. All speakers do not do this. They feel you made a connection and will give your presentation the attention, from the standpoint of an attendee, it deserves. Greet the host, master of ceremonies, and, if there is one, the sponsor of the event. Thank them for their respective roles. Check on any last minute program changes. (Sometimes the one hour you thought you were allotted turns into forty-five minutes. Ask the person who will be introducing you if they’ve reviewed your Introduction and answer any questions. Stress the importance of it and thank them. If members of the Chamber and Guests don’t have Name Tags, you provide them. (I always carry a supply with me along with a Fine Point (not Ultra Fine Point) black Sharpie. Everyone forgets names, and all will appreciate having them. Reach out, and pull people in. Close the gap between people. Make the “Meet & Greet” much easier and quicker. 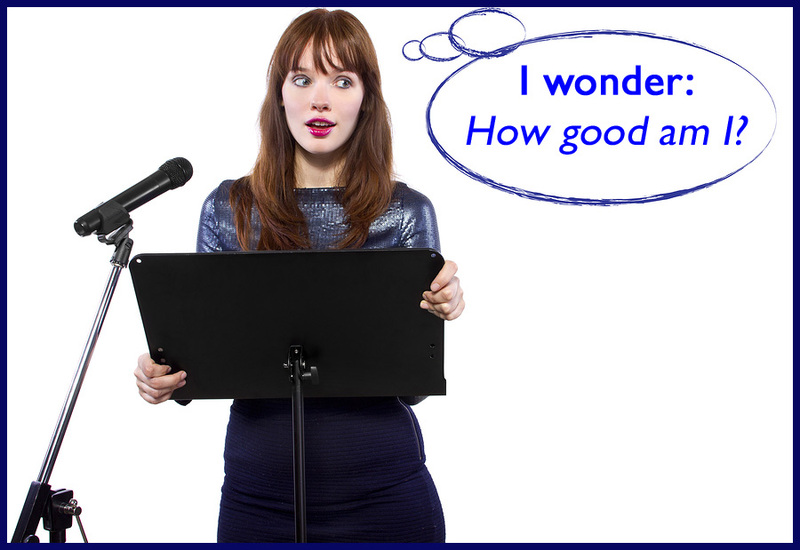 If you’ve taken my “Suggestions,” and prepared for your presentation, the rest will be – NO SWEAT! The Rule of THREE. . . This is a pretty amazing list. I can see that you are a control freak, but that’s all to the good. Most of the points here would apply to any public speaking event. You are correct about this list applying to any speaking event. It’s long and specific because experience in missing some of these! Thanks for taking time to post your comment! When I read the subject and first few lines of the email I got excited, and then nervous; I read further and was then relieved. I love your advice and list of the “DO’s”, thank you very much! Very informative and fill with inportant points that all speakers could benefit from. Thank you, Fred. Thank you for your kind words and posting them! A great list, Fred. Thanks for the comprehensive overview. Thanks for the confirmation of my list and taking time to post it! Hi wonderful advice. I was alarmed when I read the title because I was not informed of speaking but I would enjoy the opportunity. Thanks for your comment, Ayshah. Great list, I do ALL of those every time. So where and when am I booked??? The good news is you can speak at many Chambers in the US. The bad news is you have to pay for your own transportation from London! Excellent article! What fabulous tips. I do more writing than speaking, but I’m looking to switch and head the other direction. I’ve been doing talks for a very long time and this is probably the best list I’ve ever seen about things to consider. Now I want to go out and get your book. And, I’m going to share your article with my National Association of Professional Women’s local chapter (I’m the President). Thanks for the kind words and taking to to post them, Debbie! 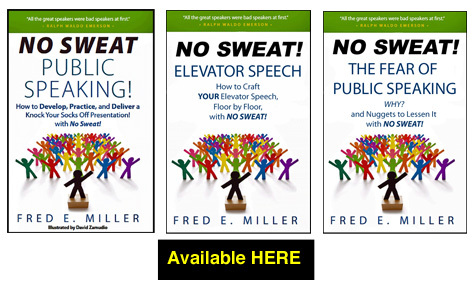 Use them and your presentations will be – NO SWEAT! Many thanks for all these great tips. Very interesting. I would like you to join me during my seminars in The Netherlands. I facilitate location, the trip to the Netherlands is yours. Thanks for the invite to the Netherlands! Great list, I do ALL of those every time. So where and when am I booked??? Everyone who speaks should do this. “Oh yes we have speakers” Great, but they were broken! Yes we have an audio system you can jack into – oops, it didn’t work! I look for the weak links in the chain. Great stuff Fred, I agree with every word, remembering with a shudder the few times I have got it wrong – like not taking my Mac VGA adapter to give a presentation at a university – they had 8 of them – but they were locked away for the evening! Ouch. And so wise about the slides. AND the interaction!!! I was in the front row of an event and fell asleep. Oops. The owner asked me why it had happened “No interaction” I can’t take an HOUR of someone talking AT me. Let us all interact, you can get some GREAT input from the audience!!! Thanks. This article by you should be sent to EVERY aspiring speaker. I once was running an event and clipped the lavalier to a woman speakers scarf. Great. Except when she was doing a panel presentation the scarp slipped down to her lap! Yep, I could write quite a list about the failures you iron out in your list! Thanks, Fergus, for the kind words and concurring with my research! You obviously know what you are doing Fred! I look forward to watching you speak some time! Thanks, Fergus, for the kind words. I work hard and continue to research Public Speaking and Presentation Skills. I’m continually learning new things! Too many folks just focus on their presenting and forget all of the little bits that lead up to it. Thanks for putting it all in one place. Thanks for the compliment and taking time to post it, Toby! I am extremely impressed with your writing abilities and also with the layout on your weblog. 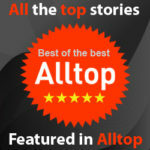 is rare to look a nice weblog like this one these days..